Now that things are the way I like them, I've picked up a project I started a while back. I'll do some posts on it in the upcoming week and fill you in. 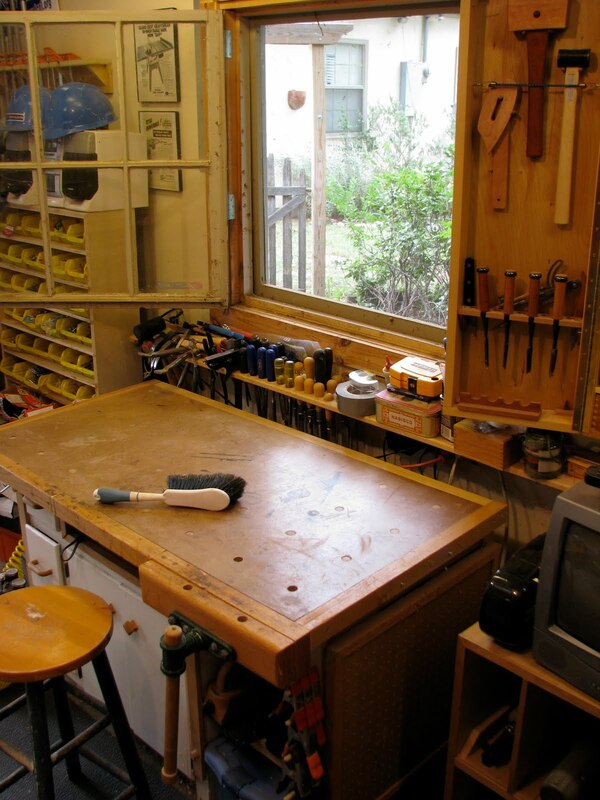 OK - how about full and complete details of your workshop? 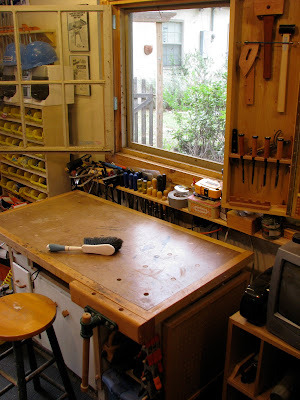 I'm thinking you should (please, pretty please:) tell us what tools you have, all about that work table in the pic - the whole enchilada. The before picture reminds me of my pickup truck. The after picture not so much, alas. All it needs is a kettle and a packet of McVities, for a nice cup of tea and a biscuit! BTW I didn't put two and two together - I just did a [p]review of your lovely book "How to keep a naturalist's notebook" on our blog - I'm going to set up my kit this weekend and see how I get on!